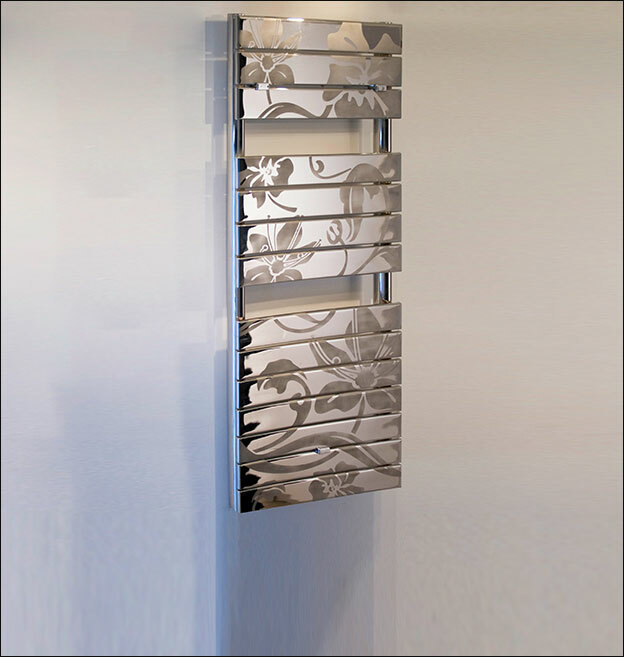 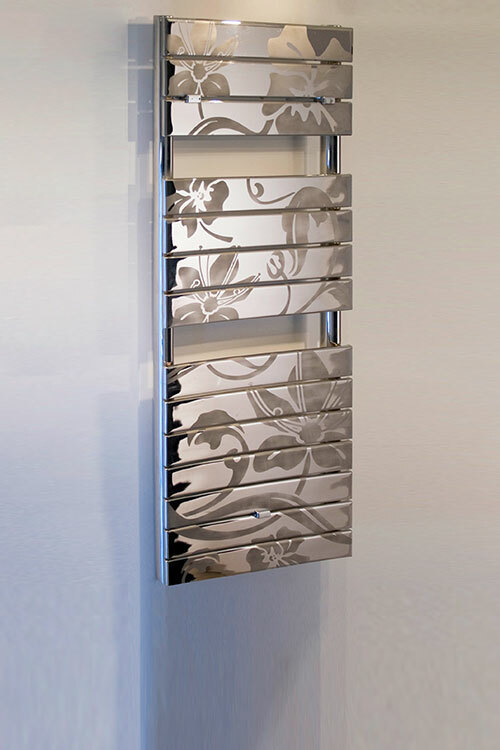 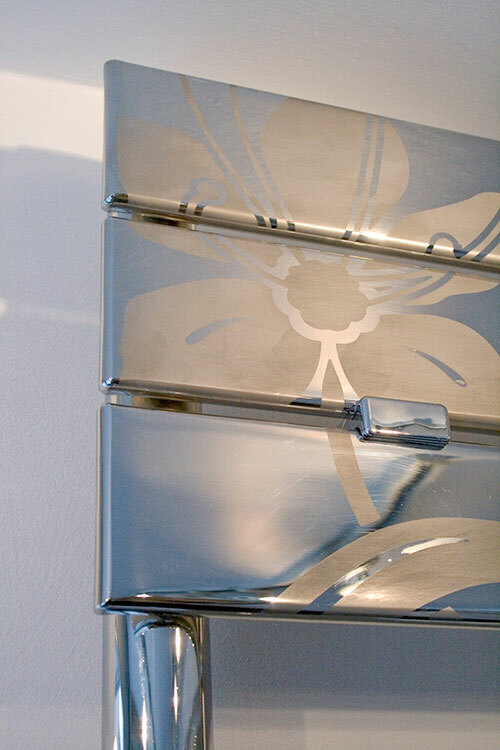 This chrome heated towel tail has been etched in satin chrome design onto a polished chrome background producing a beautiful contemporary towel rail that works equally in contemporary as classical bathrooms. 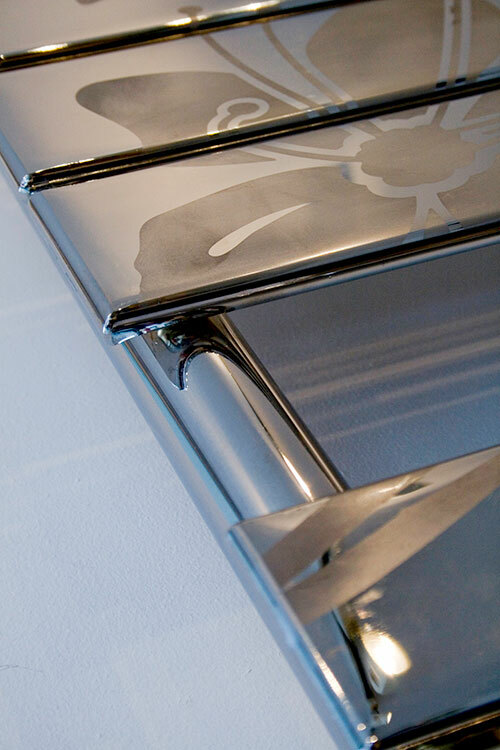 * Also electric only & dual fuel. 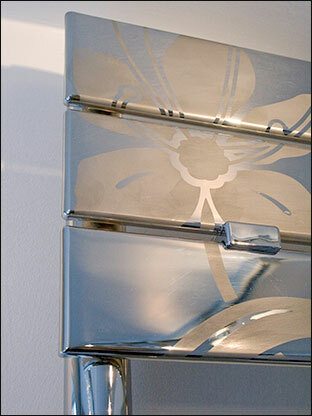 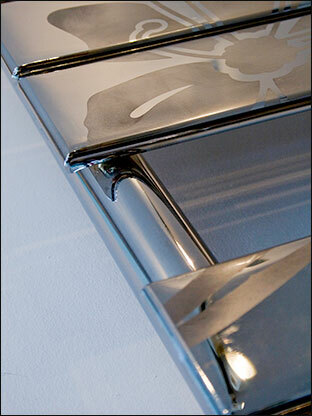 * chrome with satin chrome design.